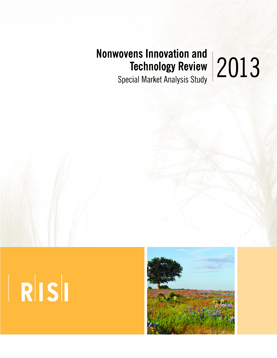 Nonwovens Innovation and Technology Review 2013 - Fastmarkets RISI - Objective Insight. Better Decisions. In the fast-changing nonwovens marketplace, an ability to closely track technology trends and developments can mean the difference between success and failure. Understanding the who’s, what’s, and why’s of the latest nonwovens patents and applications is essential knowledge for making sound business decisions. Created by leading experts in the field, this comprehensive study tracks and analyzes the latest innovations and technology trends in the nonwovens industry. It identifies the most important developments and explains why key patents have the potential to change the nonwovens landscape. Study readers will find complete details on 600 U.S. patents and patent applications issued or filed for in 2012, along with practical information on applications. Patent holders include companies based in: the United States, Japan, South Korea, China, and Europe. The study reveals which companies are truly innovating as opposed to just reducing cost or making improvements incrementally. 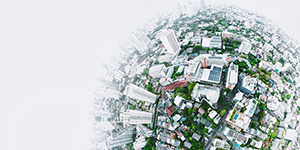 Offering a clear view of industry-shaping innovations, this unique resource helps nonwovens professionals identify and take advantage of critical cost-saving measures, environmental solutions, and new market opportunities. Packed with detailed patent data from a wide range of global organizations, this in-depth review provides critical trend analysis and keen insight into the research efforts of the who’s who in the nonwovens marketplace. Readers will find the relevant facts and data needed to establish cost-effective R&D plans and budgets with confidence.